This superb 93cm wide flush fit PowerFlex induction hob from Miele boasts 2 Powerflex zones for great flexibility and larger pans and 3 regular induction zones. With 9 power levels, minute minder and pan size recognition you can be assured that your food will be cooked perfectly and efficiently. Finished in modern black glass it will look great in any kitchen and can connect with an enabled Miele hood for clever self regulation of extraction. 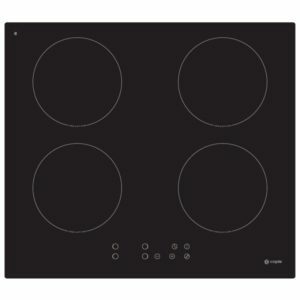 This fantastic 58cm wide frameless induction hob from Whirlpool boasts four heat zones with easy to use touch controls. Not only will it look great in any kitchens with its black glass finish but is fantastic for busy households with its smart performance. 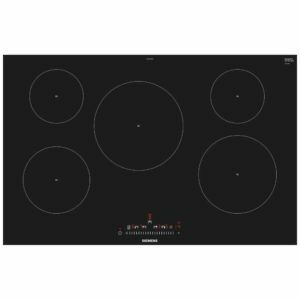 This 80cm wide induction hob is a great addition to a busy kitchen, as it offers flexible cooking with 5 heat zones that provide 17 variable power levels, and the option to combine zones. Perfect for large pans or griddles. There are Perfect Fry sensors for brilliant frying results, as it carefully monitors the temperature. 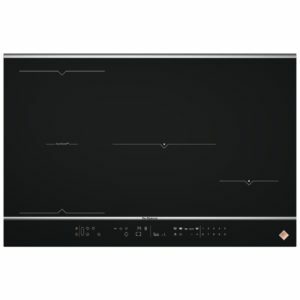 Thanks to DirectSelect you can correct your hob temperature with a single touch. No more scrolling up and down just simply press one button to select the right heat level - perfect! 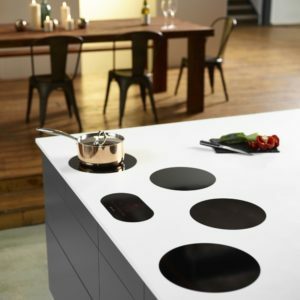 With a sleek finish and bevelled edges, this hob will make a stunning feature in your kitchen. Free Chopping Board With This Hob! 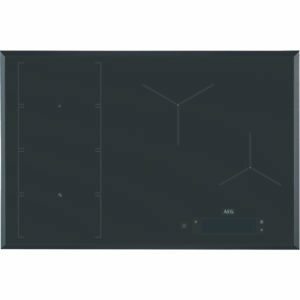 This superb 80cm wide HoriZone induction hob from De Dietrich boasts four heat zones, 2 of which can be combined to create a HoriZone. With 8 functions, 20 power levels, a child lock and auto safety shut off feature this is the perfect hob for a busy family. It boasts functions such as keep warm, simmer and sear for ideal cooking everytime. This model is finished in stunning black glass and comes with a chopping board. The perfect addition to any kitchen. 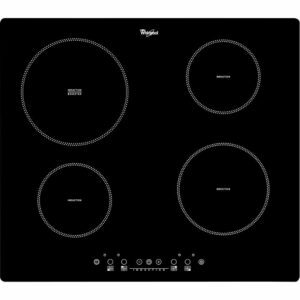 With four powerful cooking zones offering nine power levels this 59cm wide induction hob from Caple really will make cooking easy. As it is suitable for connection to a 13 amp power supply it is also incredibly flexible for installation. Sleek touch controls, digital displays and finished in black glass means it combines style with performance. 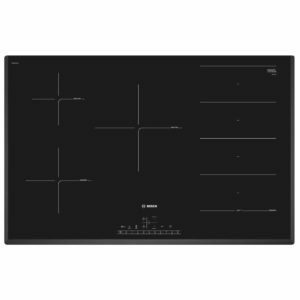 This stunning 90cm FlexInduction hob from Bosch not only looks great but is easy to use too. It has 2 FlexInduction zones, meaning you can combine cooking zones for amazing adaptability. Perfect Fry technology automatically senses and controls the temperatures for incredible results and nifty Home Connect features mean you can remotely monitor and use the hob from your connected smartphone or tablet. With bevelled front and rear edges and aluminium coloured side trims, this beautiful black glass hob really does catch the eye! 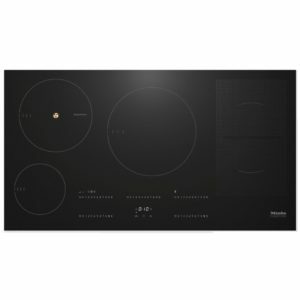 The Siemens EH601FEB1E IQ-300 four zone induction hob is designed to be flush fitted into a natural stone work surface and is finished in black ceramic glass with touch controls. It has 17 power levels, a timer for each zone and residual heat indicators to warn you when there is still heat in the glass. This superb 93cm wide induction hob from De Dietrich boasts five heat zones, 2 of which can be combined to create a HoriZone. Just what you need if you need to fit a large pan, griddle or fish kettle! Touch controls allow precise heat control and as heat is only distributed once the pan is recognised you can save pennies on the running costs as well! Finished in black glass it really stands out and looks fantastic in any kitchen. This superb 78cm wide MaxiSense induction hob from AEG boasts four heat zones. You can use the intelligent touchscreen on the SenseFry® induction hob to select the food and desired result. The technology maintains an even heat for the best frying results. No more guessing when the pan is at the right temperature. And no need to adjust the settings during cooking. 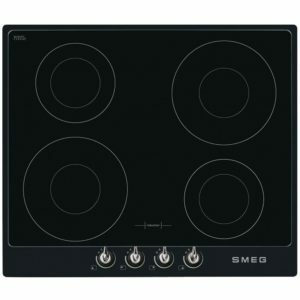 Built with Smeg's superb quality and emphasis on performance, this 60cm wide induction hob is perfect for a busy kitchen. Automatic pan recognition means that you will never waste heat and money as it only heats the pan as it is detected. Brilliant for efficiency and with no loss of power. Finished in sleek black it adds a modern edge to any kitchen. This superb induction hob from Siemens gives you everything you need for flexible and energy efficient cooking. It features 5 induction zones and electronic touch and slide controls. Induction cooking only ever heats up the base of the pan and with the automatic pan recognition you'll only use the energy you need. Finished in black ceramic glass the EH801FVB1E will create a wonderfully streamlined look in any kitchen. 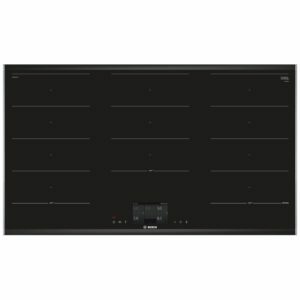 This superb frameless induction hob from Caple boasts four heat zones and slider touch controls. Each zone is separate from the other zones and control unit, connected only by wiring under your worktop, so the hob can be configured exactly how you want. Finished in black glass it will look great in any kitchen. Induction hobs are the future of cooking and they’re here to stay. If you’re not here for induction cooking then check out the rest of our hobs in our cooking section. We’ve also got range cookers and built in ovens for you to check out. If you’re after a new hob, then you may need a new cooker hood to match. Browse our full range in our extraction section. We have an amazing line of American-Style fridge freezers for you to check out in our refrigeration section. If you want some finishing touches for your kitchen, then head to the small appliances section. We’ve got coffee machines, blenders, kettles, toasters and more for you to have a look at. Your kitchen deserves the best of the best and we stock it all at Appliance City!